Two-light, electrified ABCG table lamp signed Tuthill in the Rex pattern, 20.5 inches tall. 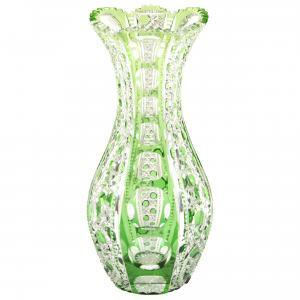 ABCG vases will include this 13.75-inch-tall, green cut to clear piece in the Montrose pattern by Dorflinger. 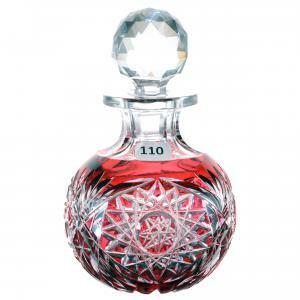 BPCG cologne bottle, 6.75 inches tall, deep cranberry cut to clear, exhibiting good fluorescence under a black light. Beautiful cobalt cut to clear BPCG piece, 11.5 inches by 12 inches, attributed to Val St. Lambert. 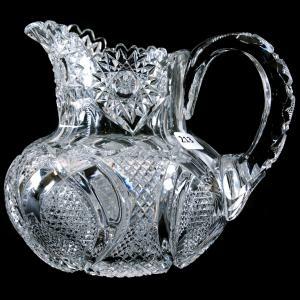 ABCG 7-inch-tall jug in the Columbia pattern by Libbey, with pattern-cut handle and exquisite blank. The auction will be held online and at Woody's auction hall in Douglass Kan. Patterns include Rex, Kohinoor, Montrose, Columbia, Salem, Ellsmere and Sparkler. DOUGLASS, KAN., UNITED STATES, September 24, 2018 /EINPresswire.com/ — DOUGLASS, Kan. – The lifetime American Brilliant Cut Glass (ABCG) and Brilliant Period Cut Glass (BPCG) collection of Jean Rex of California will be sold without reserve on Saturday, October 20th, by Woody Auction, online and in the firm’s auction hall at 130 East Third Street in Douglass. The patterns, many of them signed, will include Rex, Kohinoor, Montrose, Columbia, Salem, Ellsmere and Sparkler. Absentee bids will be accepted, with a written statement indicating the amount of the bid. The deadline to submit an absentee bid is 12 noon on Thursday, October 18th. For convenience, absentee bids may be submitted by fax, at 316-746-2145, or e-mail, at [email protected] There is no phone bidding. 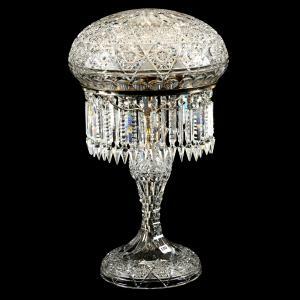 • November 9-10, 2018 – Antique auction, to include sterling silver, furniture, art glass, dolls, music boxes, clocks and more. 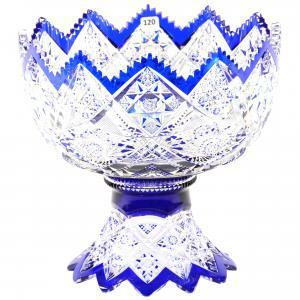 • December 1, 2018 – Brilliant Period Cut Glass, antiques and other items. • July 18-20, 2019 – R.S. Prussia Convention in Grand Rapids, Mich.
Woody Auction is always accepting quality consignments for future sales. To consign an item, an estate or collection, you may call them at (316) 747-2694; or, you can e-mail them, at [email protected] To learn more about Woody Auction and the Rex auction on October 20th, visit www.woodyauction.com.